UpStarter Urban Adamah has announced the launch of its Spring, 2012 Young Adult Fellowship. Jewish young adults can apply for the fellowship online at http://urbanadamah.org/apply/. Twelve fellows will be selected to participate in the new organic farm and Jewish environmental education program in West Berkeley, beginning March 4. 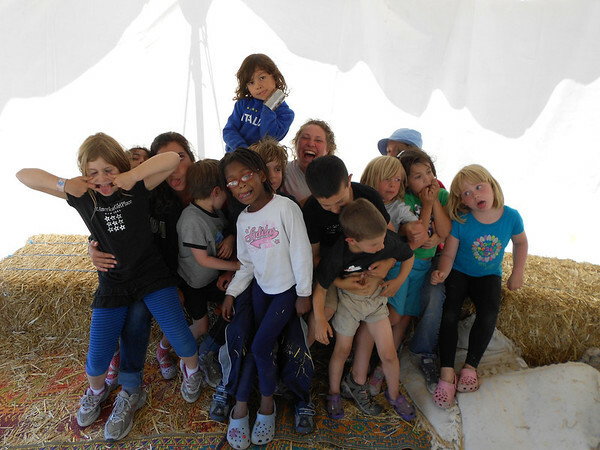 This blog is an account of Urban Adamah fellow Aliza Slavin Gazek’s experiences on the farm in the summer of 2011. 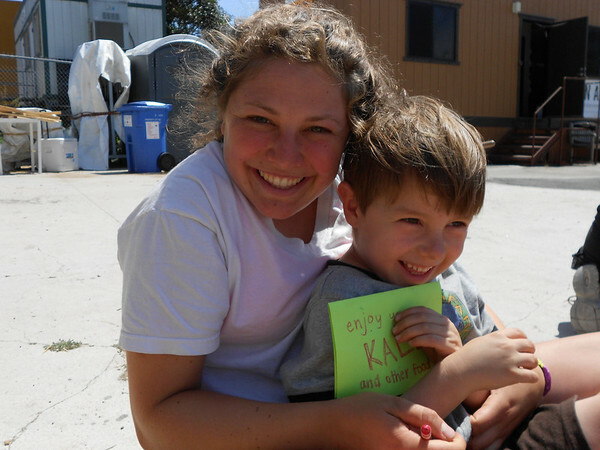 “What’s wrong with your elbow?” an eight-year old asked during Camp Urban Adamah, a Berkeley day camp that explores Judaism and the environment. Struggling for a good view of this hard-to-see part of my body, I yielded to another camper, who responded, “She’s a farmer!” It was then that I learned the necessity of scrubbing my elbows; their dark appearance came from dirt or soil rather. I’ve also learned that soil and dirt are actually the same thing, given two different names based solely on their location (dirt is on the ground, soil is in a planter). I’ve acquired dirty elbows and expanded my understanding of food systems this summer as a fellow in the inaugural season of Urban Adamah, an urban edition of the existing Jewish farming venture in Connecticut. As one of twelve fellows, all in our twenties, I’m enjoying three months living in a house with my “fellow fellows,” working our one-acre plot of urban land, learning about permaculture, Judaism, and food justice, and exploring beautiful Northern California, especially with those of us unfamiliar with coastal drives and towering redwoods. We walk about two blocks to the Farm every morning after 7 AM Avodat Lev, or morning prayer/wake up time, and breakfast. Our mission is to build an urban farm from scratch on a vacant lot on loan from the developer. Due to the temporary nature of the site, we’re constructing a portable farm, which makes our design especially replicable for other urban sites. We use cheap and accessible materials like pallets, burlap sacks, hardware cloth, wood scraps, and the like, which allow us to raise beds and planters off of the toxic native soil, a common challenge in urban areas. In addition to building these beds and sheet mulching the farm (laying down cardboard with woodchips to cover the ground and prevent weeds), we’re growing all kinds of vegetables and herbs, raising chickens for eggs, making pizzas in our cob oven (made of straw and mud), and teaching kids about all of it. When I heard about this opportunity through a campus listserv, it seemed to match my interests exactly. Growing up in rural Santa Cruz County, agriculture was a prominent feature of my surroundings, and I was familiar with local and pesticide-free food. I cared deeply about social justice and became increasingly aware of the need to increase access to healthy produce and other foods for everyone. At a social-justice-focused North American Federation of Temple Youth (NFTY) event in high school, I first learned about the Farm Bill, an omnibus piece of legislation that essentially determines how America eats through subsidizing certain crops to make the least healthy foods the cheapest. I began to re-interpret my own laws of kashrut to focus on understanding where food comes from and its path to our plate. Through high school and into college, I learned about the Farm Bill-related struggles of improving Americas school lunch program and the inextricable link between food and health. I recently declared my major in Human Biology, with a self-created emphasis on Social and Structural Change Through Community Action. I see the roles of both large-scale policy and grassroots efforts, as well as all the actions between, as influential in creating change, from growing school gardens to reforming the Farm Bill in 2012. Im putting these values and ideas to work at Urban Adamah. Here, were increasing production of and access to fresh, healthy, pesticide-free food, and helping plant the idea of growing food in urban spaces. About 90% of the produce from our farm goes to people who lack access to such food through donation to a local health clinic serving mostly uninsured patients, and to the church next door for their weekly community meal. 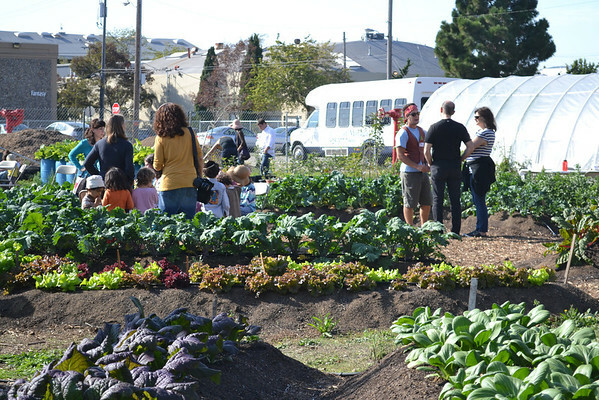 I also intern with City Slicker Farms, a non-profit that operates in the food desert of West Oakland. They install backyard gardens and provide garden mentors for community members, grow food to provide to residents at whatever price they can afford, and seek to engage the community in garden work. This work links closely to URJ efforts. Nigel Savage, founder of Jewish environmental organization Hazon, visited with us and mentioned Rabbi Yoffies 2009 Green Table, Just Table initiative when describing growing Jewish efforts in the food justice realm. It was exciting to remember the conversation my NFTY Board had with Rabbi Yoffie when he was preparing the initiative, voicing our concern about the importance of ethical eating as a Reform Movement-wide focus. I hope that the Union of Reform Judaism (URJ) will increasingly integrate food that is kind to the earth, healthy for our bodies, and even grown by campers at our URJ camps, and that synagogues will plant community gardens and empower the communities in which they reside to grow and eat their own food. Im also pleased to imagine synagogues and NFTYites coming together this fall to celebrate Food Day, joining a broader effort to reform our food system from the ground up. After learning how to install irrigation, create a productive compost system, use power tools, corral ladybugs to get rid of aphids and acquiring bizarre tan lines I feel blessed by the miracles of nature and hope to share these practices with more homes and communities. In the words of some Urban Adamah 5-9 year old campers, said before snack time, Thank you, earth. When she isnt playing in the dirt, Aliza Slavin Gazek is a rising junior at Stanford University and served as NFTYs 60th President in 2009-2010. Her home synagogue is Temple Beth El in Aptos, CA. She loves cooking and eating delicious food and is passionate about sharing these opportunities with all the people of the world. This piece first appeared at The Religious Action Center of Reform Judaism website. Learn more at urbanadamah.org and urj.org/food.